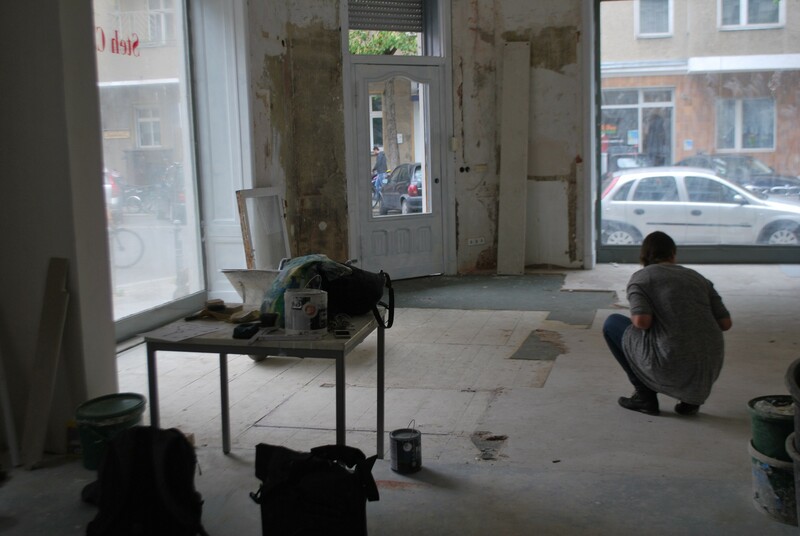 Client: Über den Tellerrand e.V. 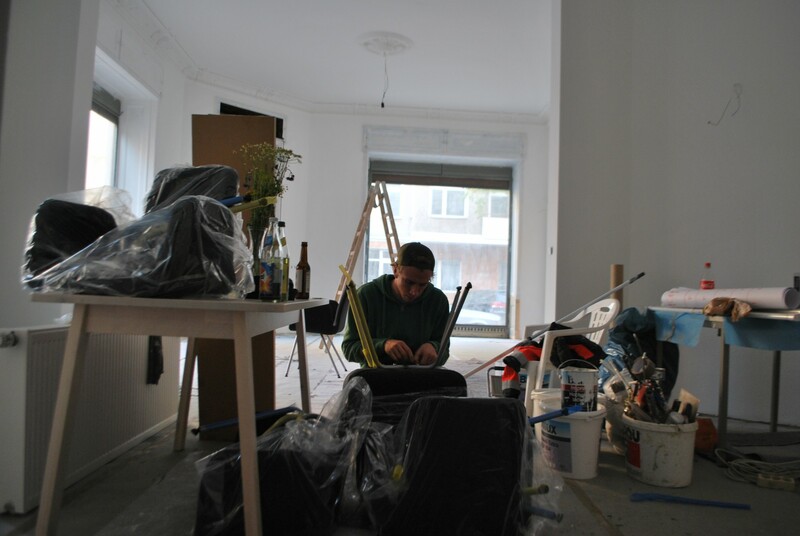 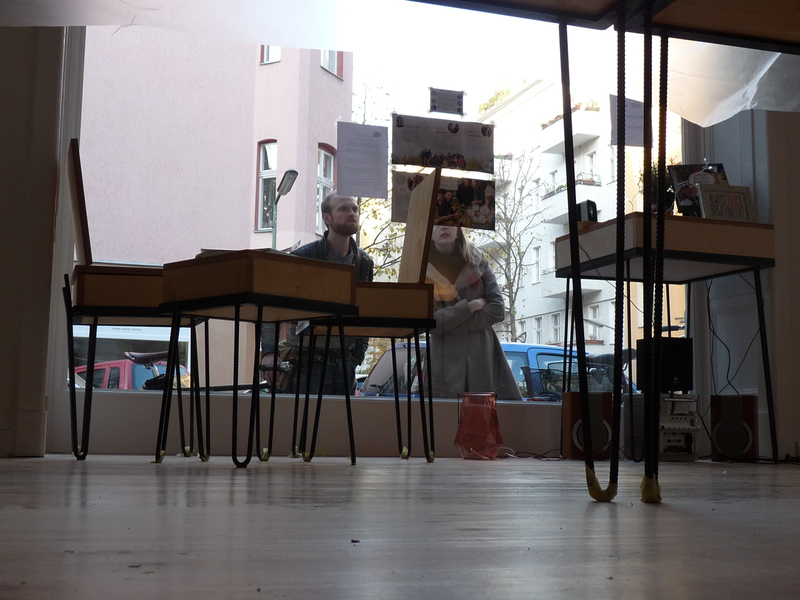 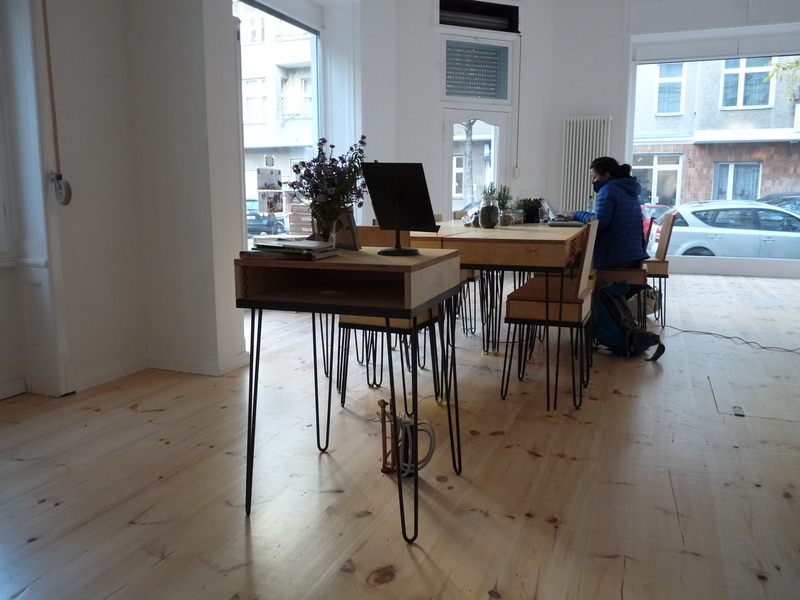 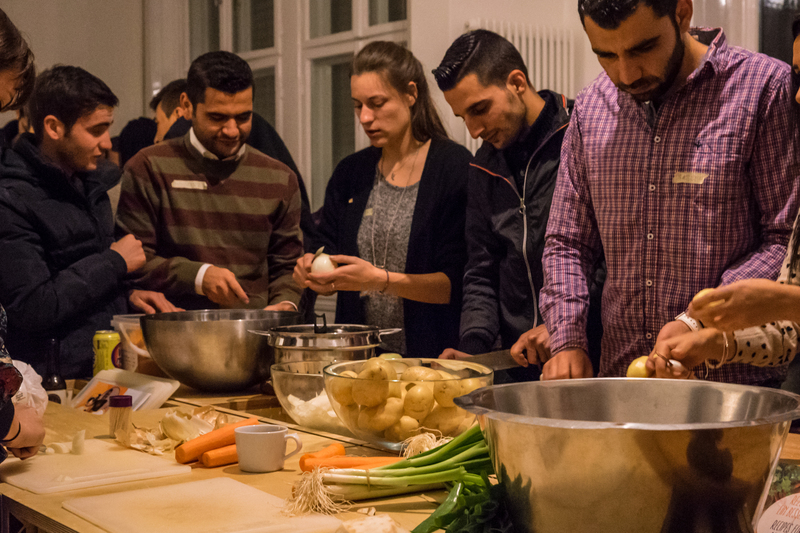 The KITCHEN-HUB is a place for refugees and local residents in Berlin Schöneberg, run by Über den Tellerrand e.V. 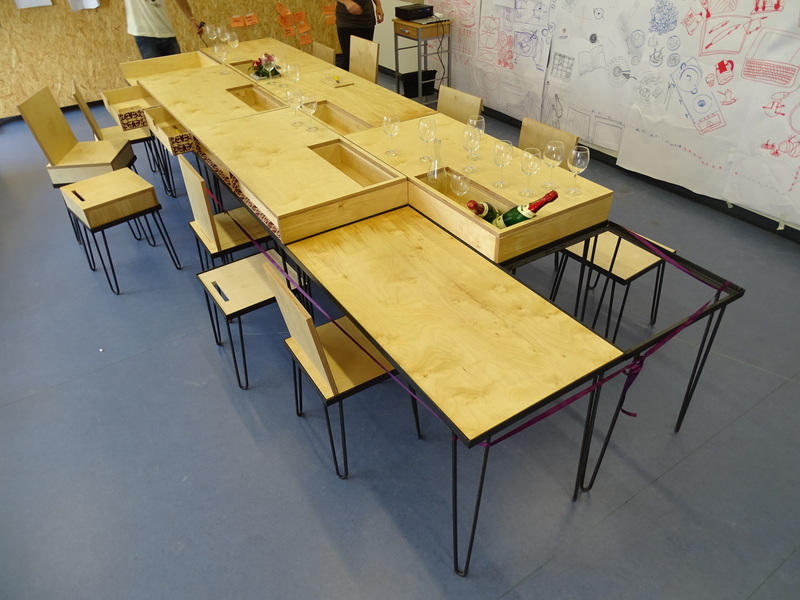 The design reflects our approach: it is a tool to support the agency of refugees as urban actors. 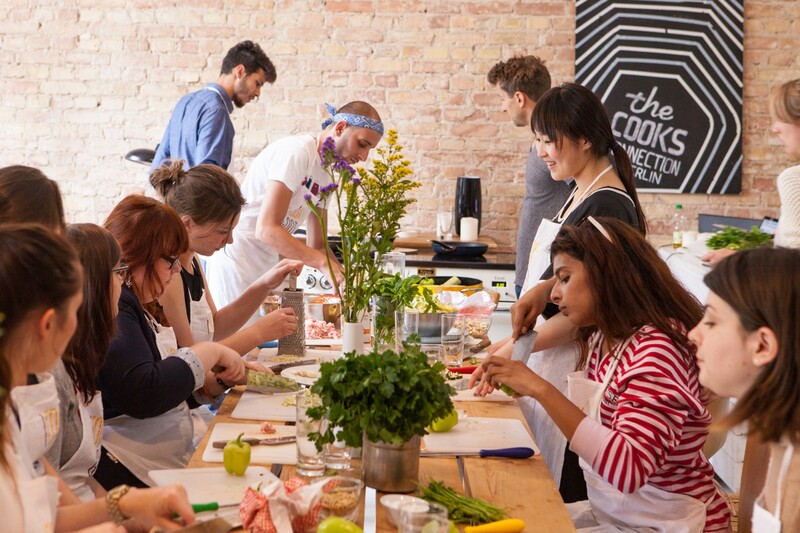 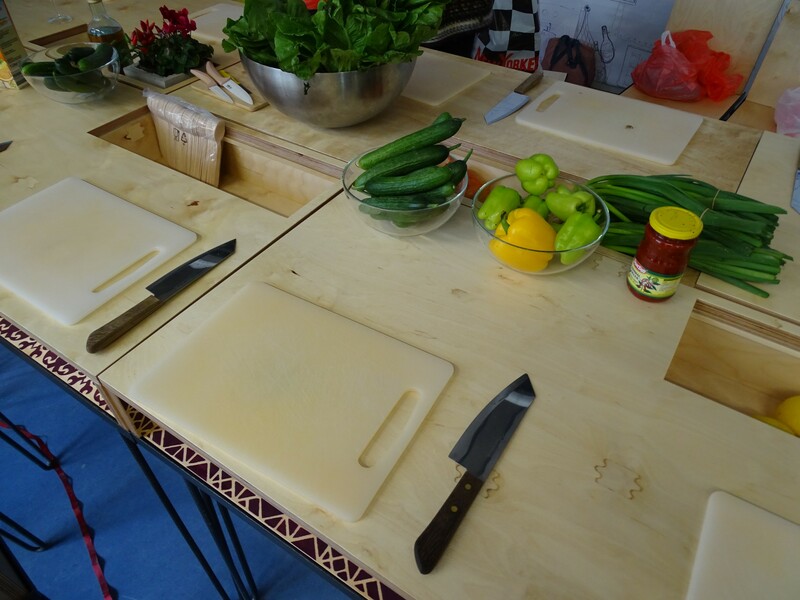 A modular toolkit can flexibly address a multitude of use requirements including cooking classes run by refugees, workshops, discussion rounds or community meetings. 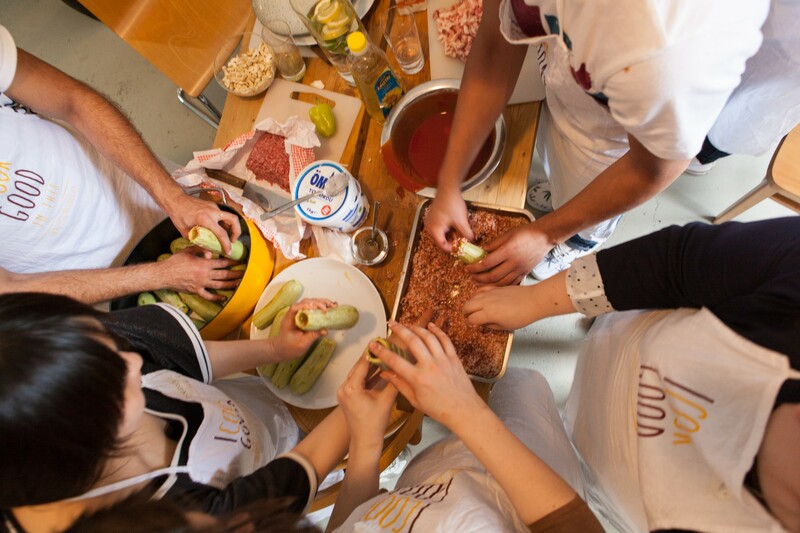 People with refugee and non-refugee background cook, eat, work and think together. 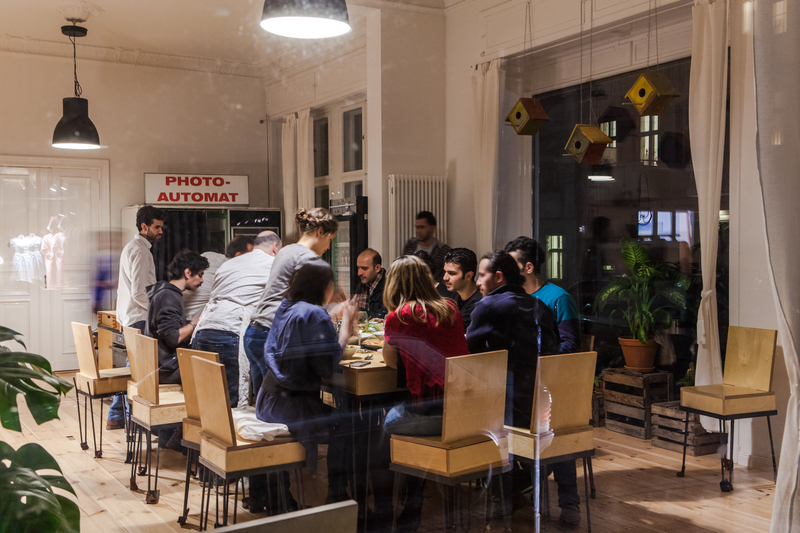 They create a place of coexistence and mutual exchange, where refugees are not only welcome but become active in shaping urban space. 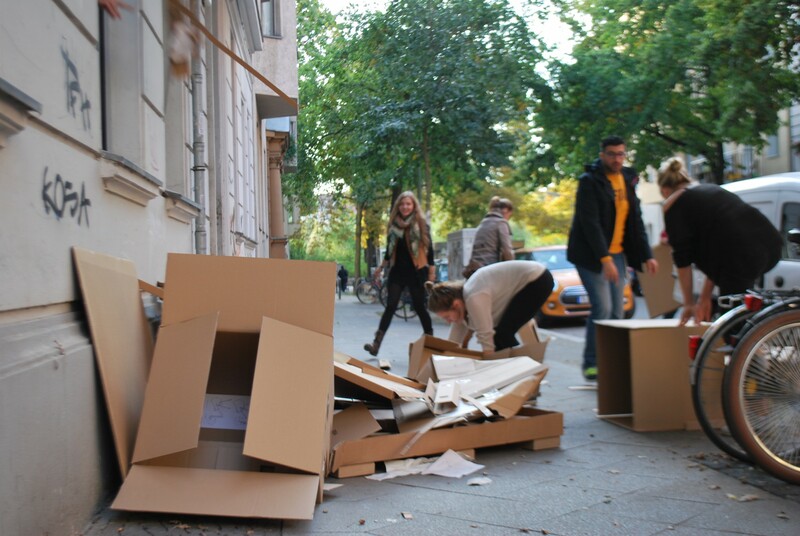 80.000 refugees arriving to Berlin in 2015 have caught the municipality ill-prepared. 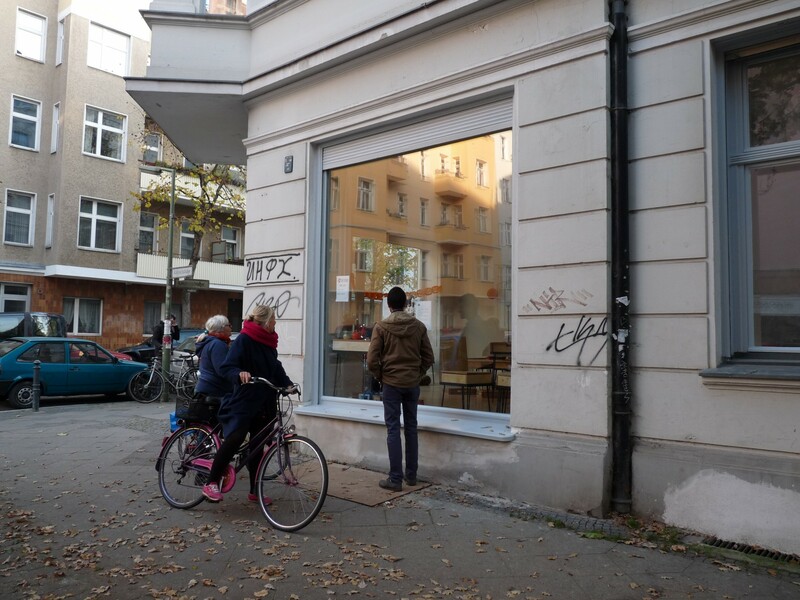 The city’s slow and uncoordinated response to this unexpected influx has been the subject of intense debates and critiques. 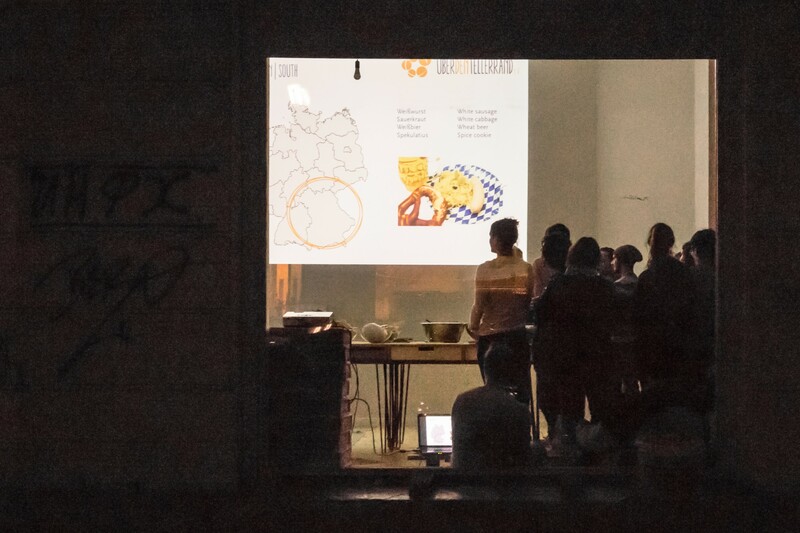 Yet the real challenge – establishing interlacing forms of living together – is still laying ahead. 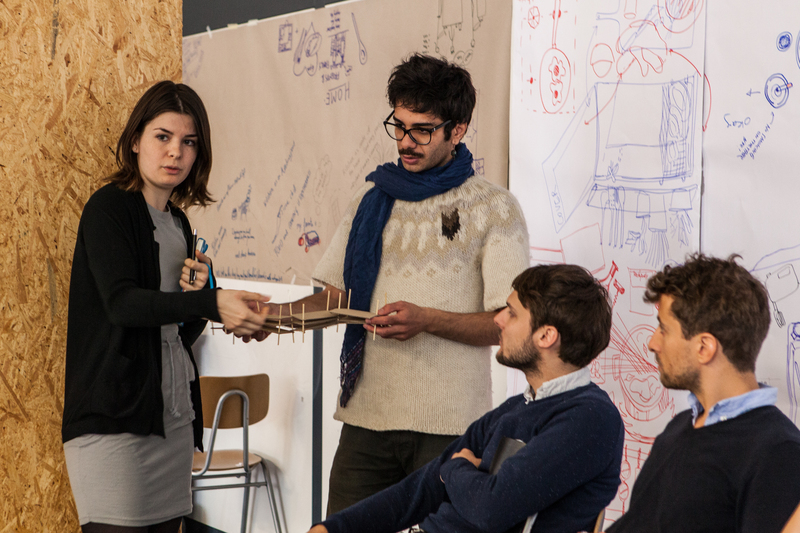 In many cases initiatives of civil engagement are taking over this so-called integration work. 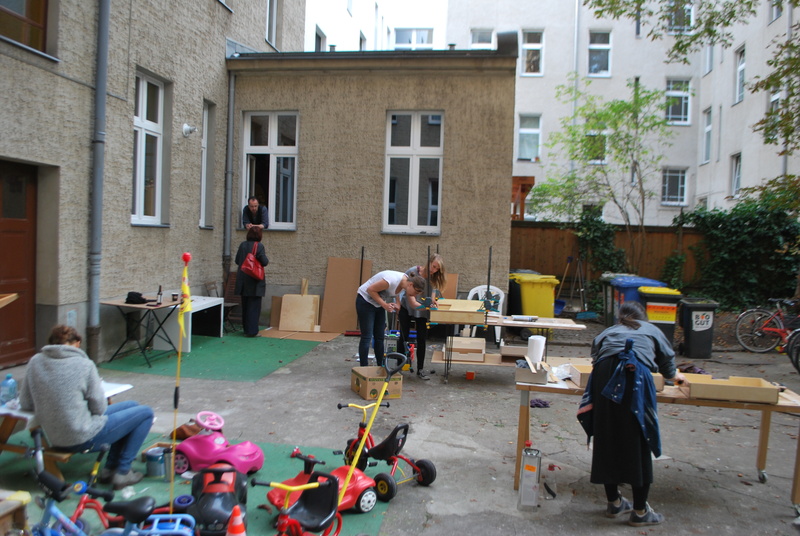 As residents groups, volunteer associations or social entrepreneurship models they form an integral part in the system. 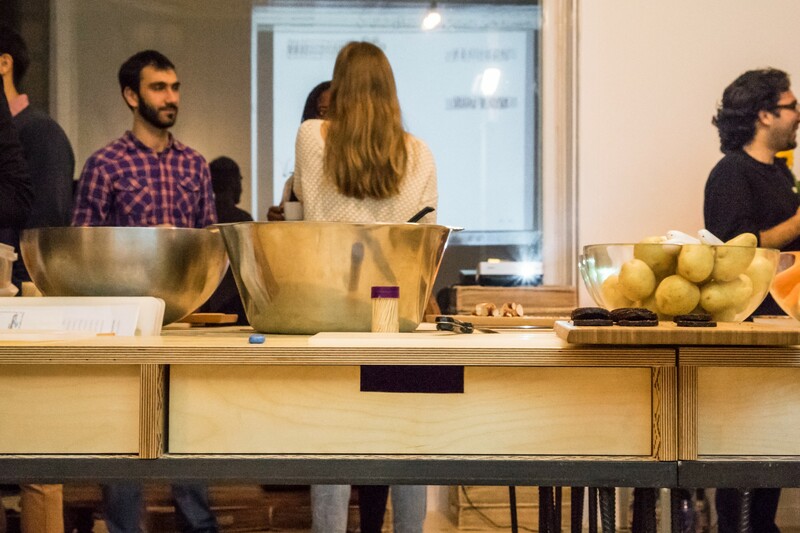 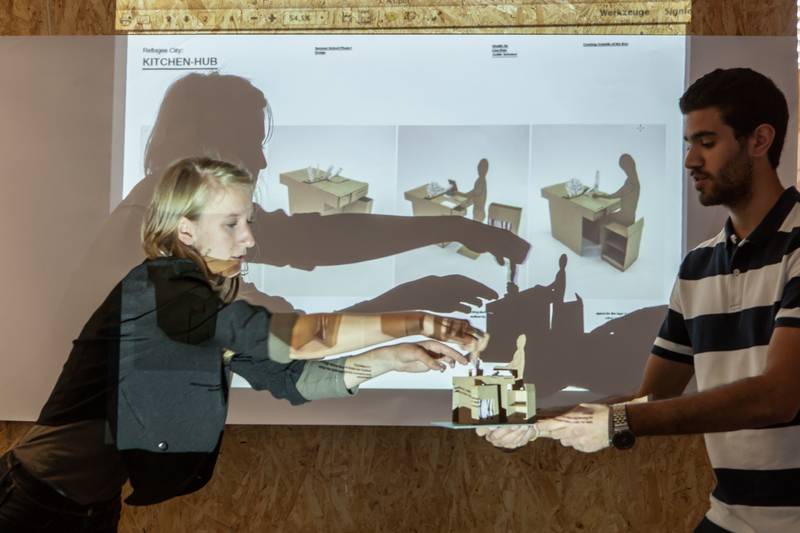 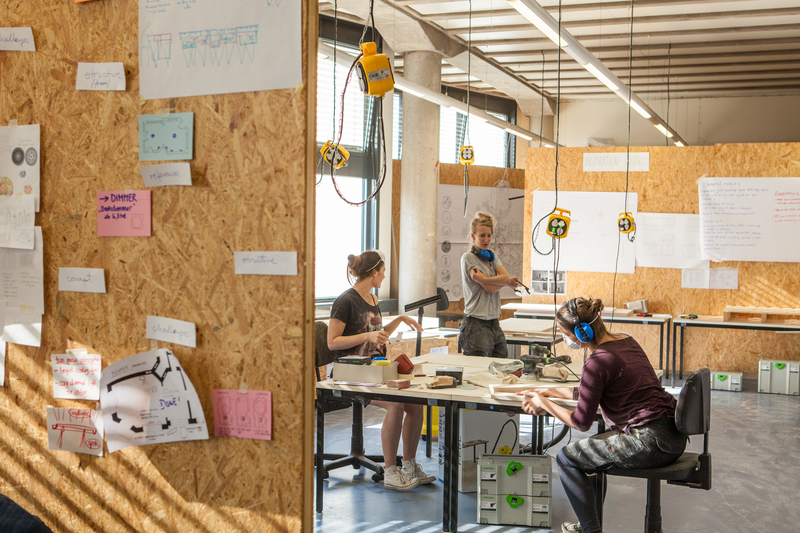 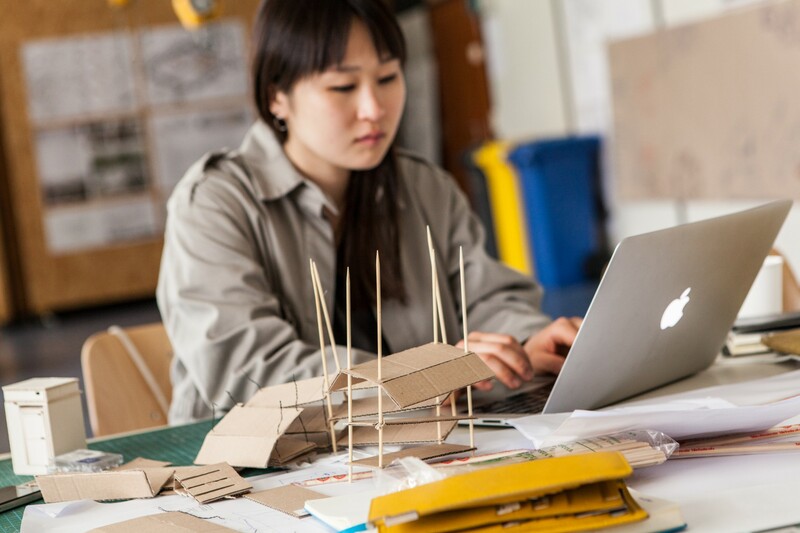 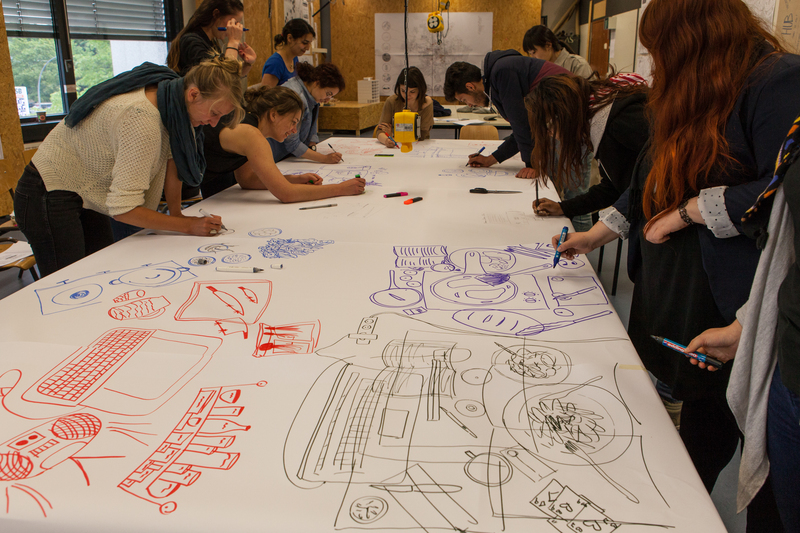 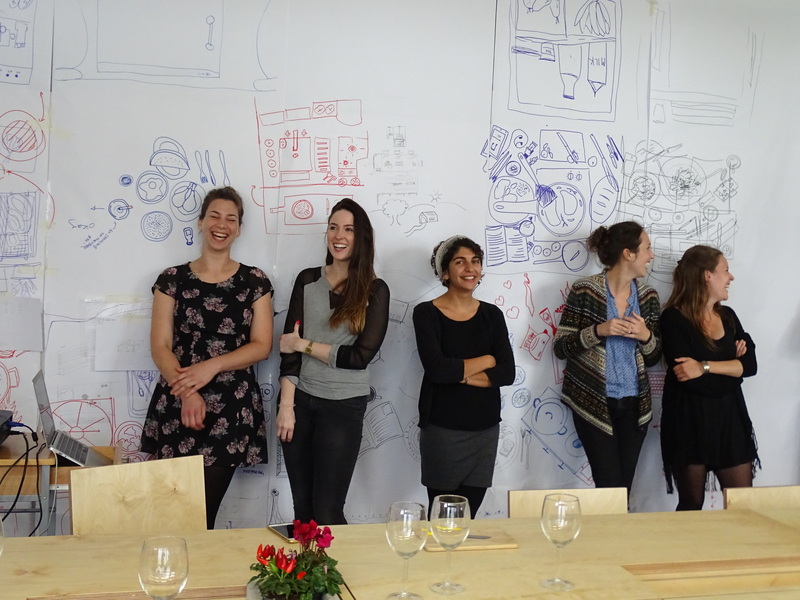 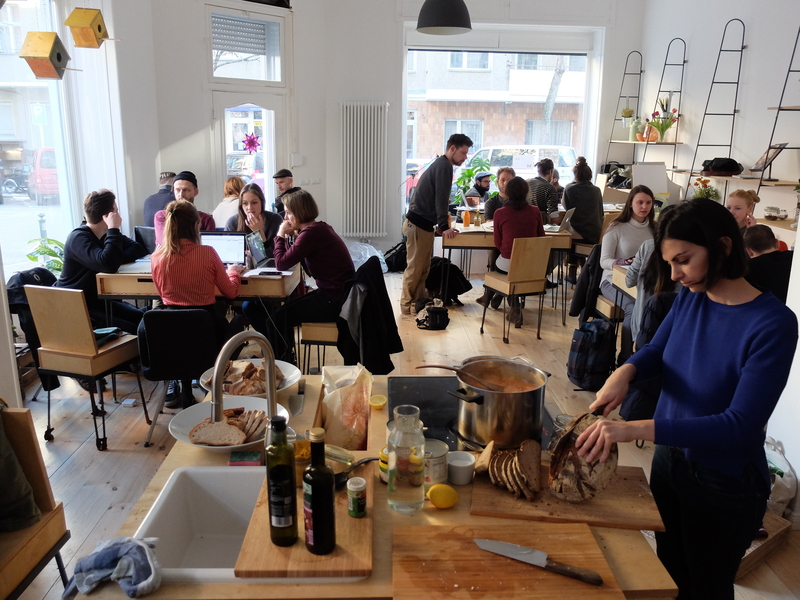 Realized in a close collaboration between one of these initiatives, Über den Tellerrand and academia the KITCHEN-HUB was established as a transdisciplinary laboratory. 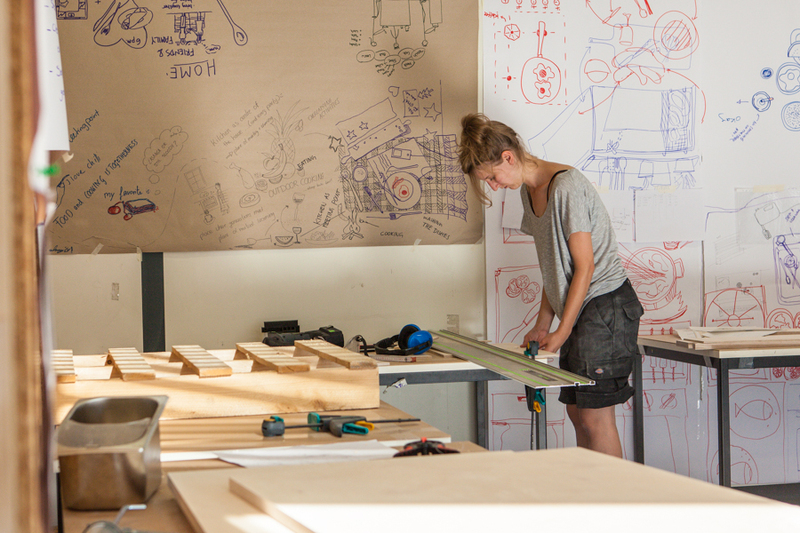 Therein we seek to think beyond the narrow and sectoral way of housing refugees. 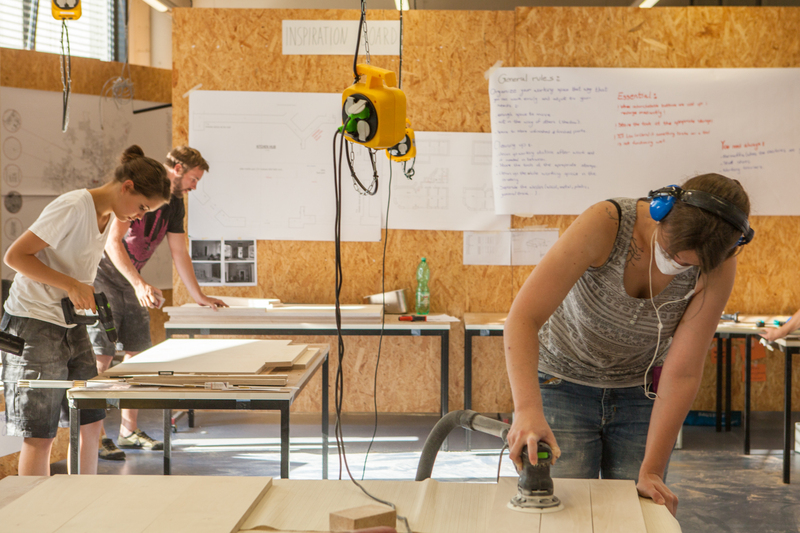 How can integration work to the advantage of both, new and old neighbours? 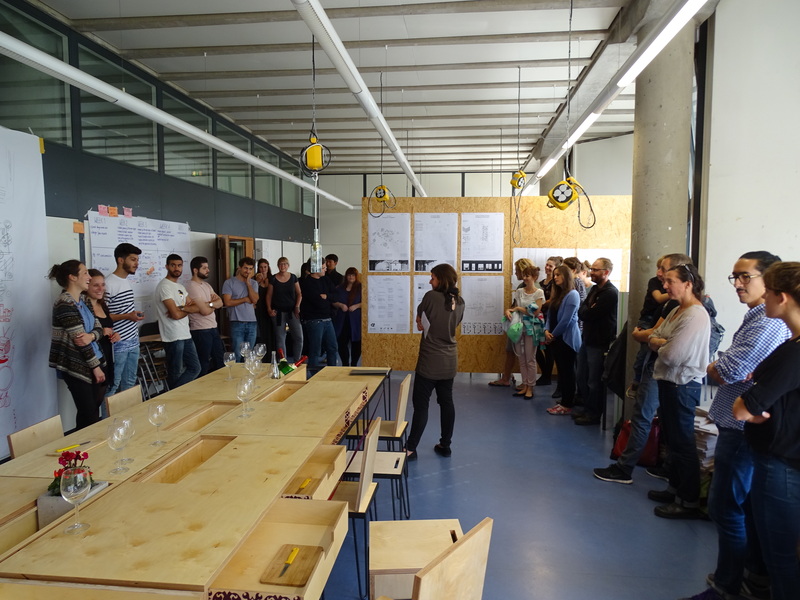 How can the potentials of refugees as new urban actors be mobilized in order to co-produce a more inclusive and socially sustainable neighborhood? 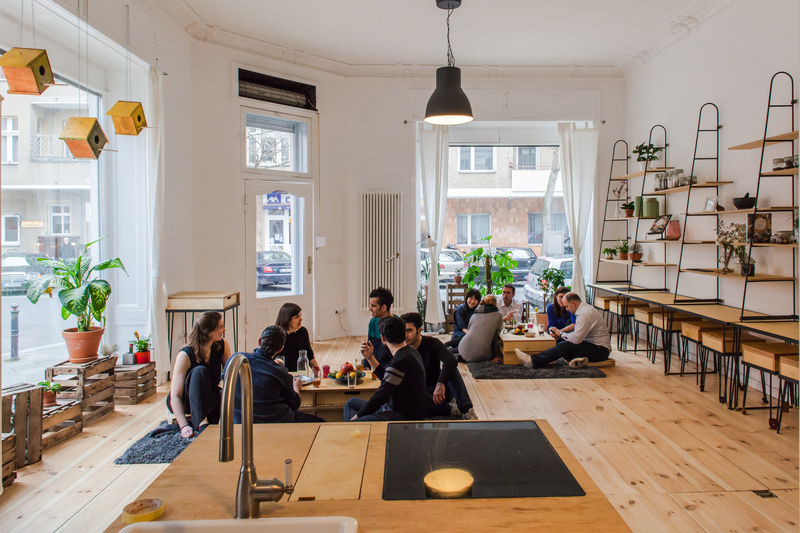 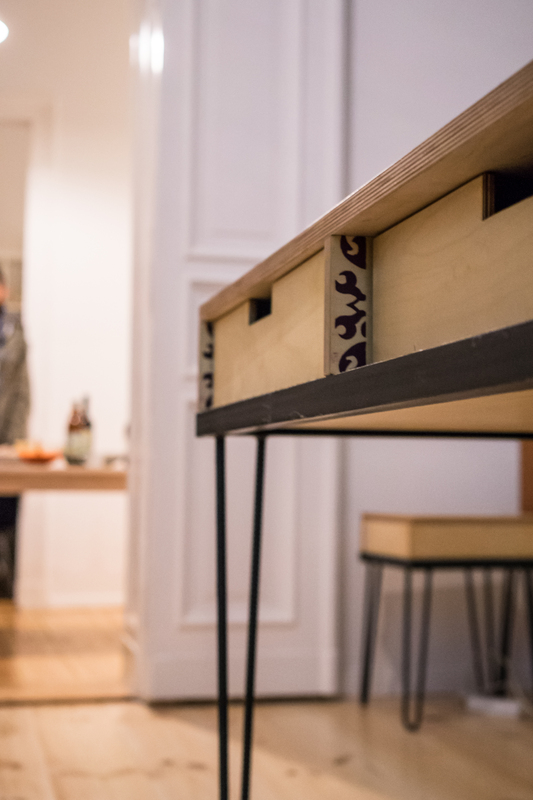 The KITCHEN-HUB was realized in a close collaboration between Habitat Unit, the CoCoon Studio and Über den Tellerrand. 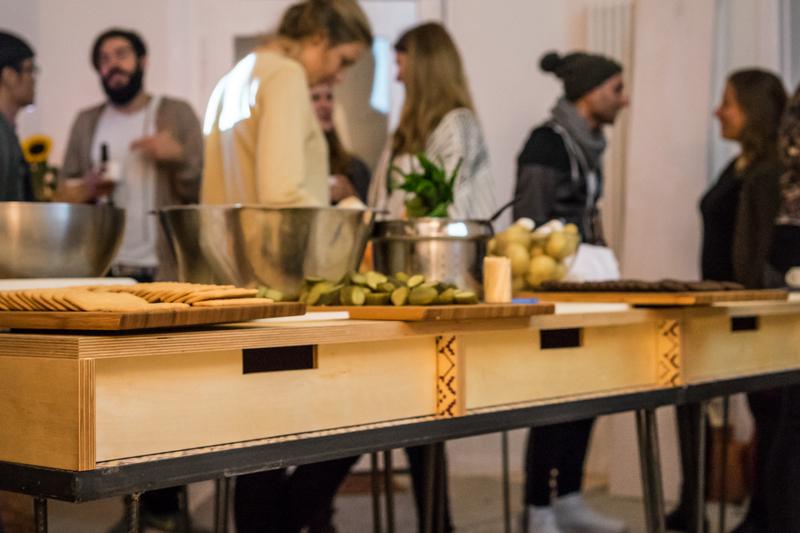 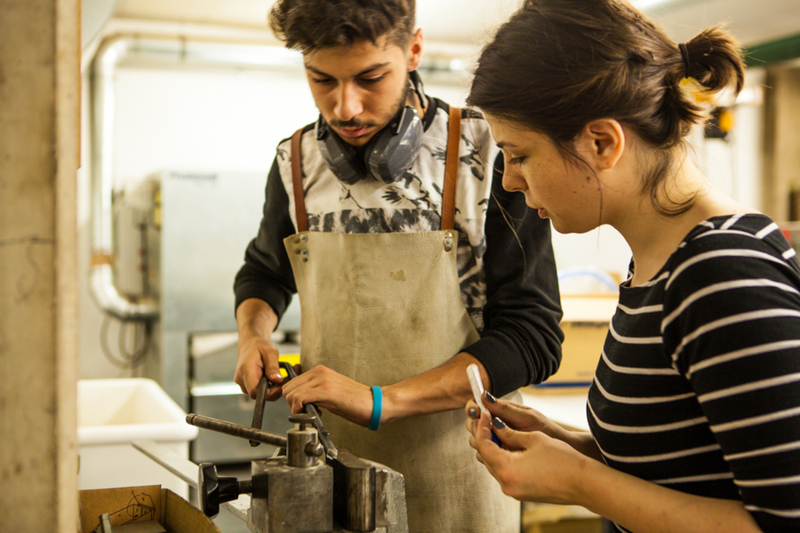 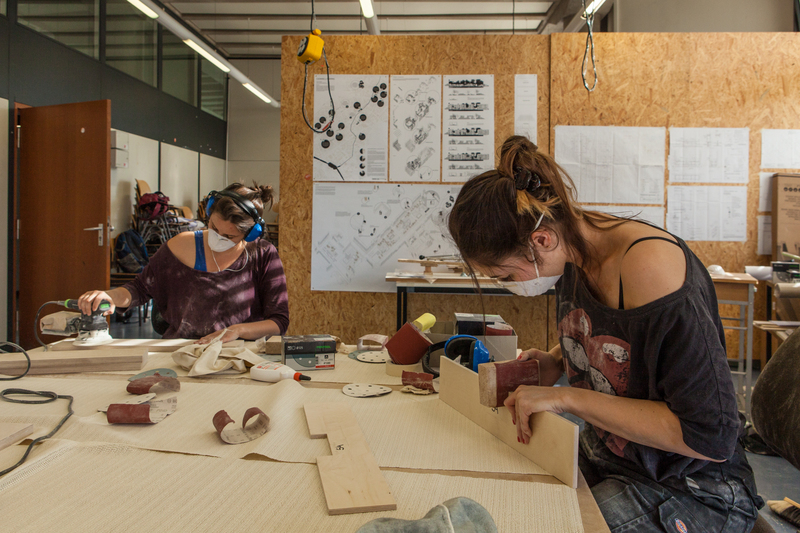 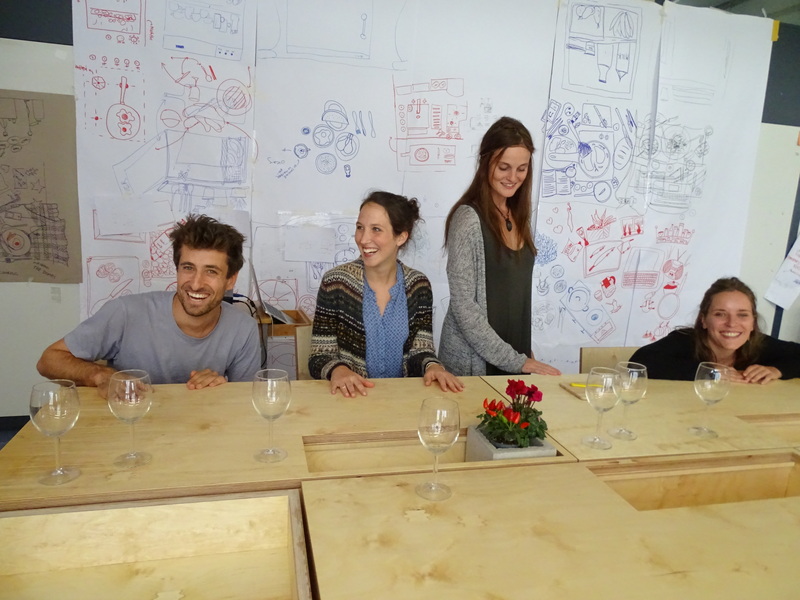 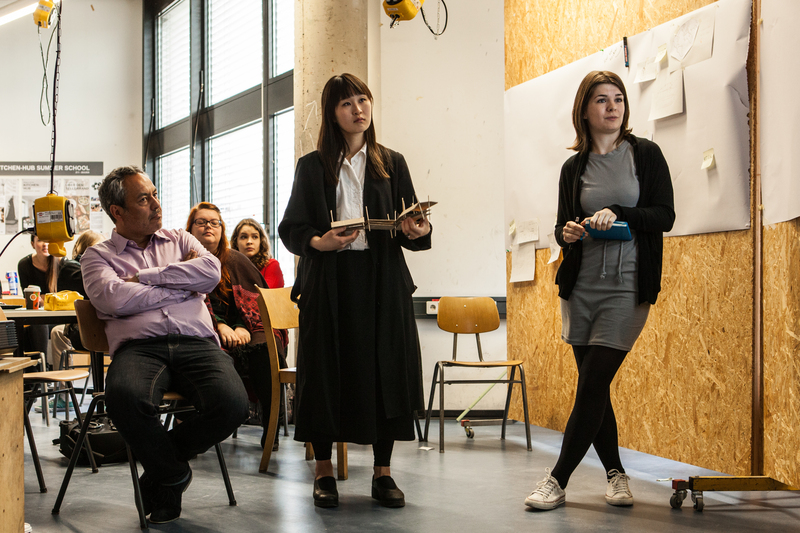 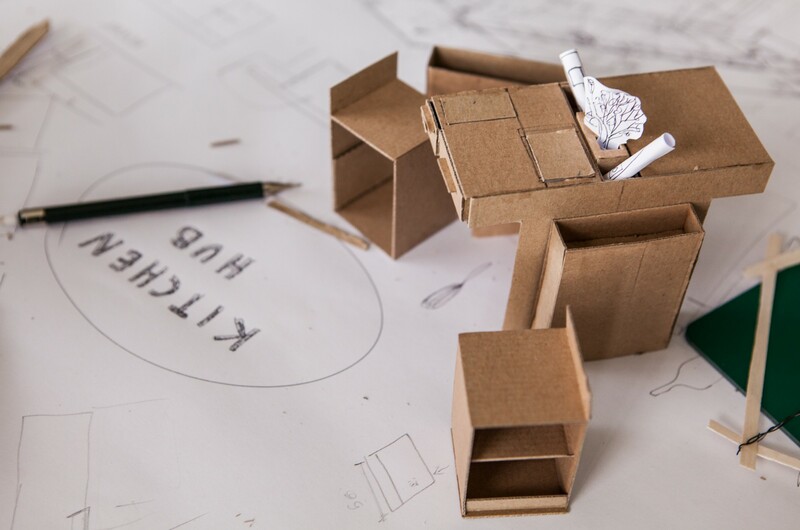 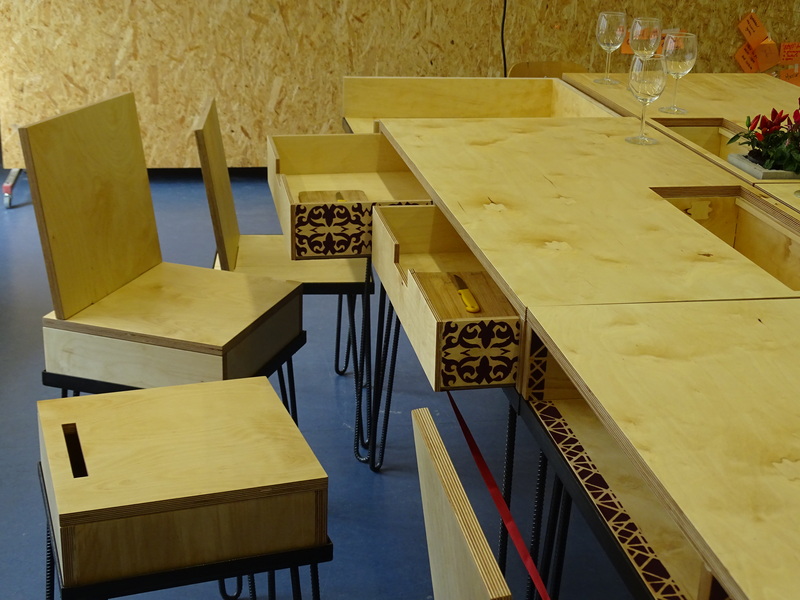 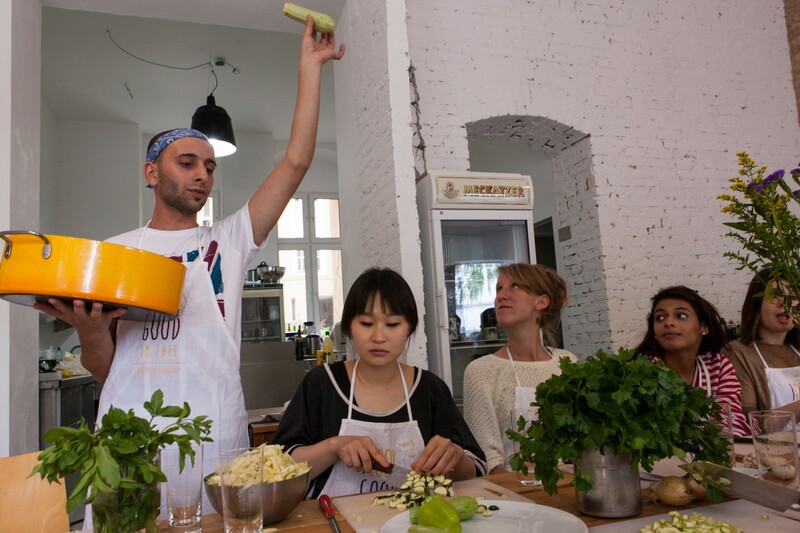 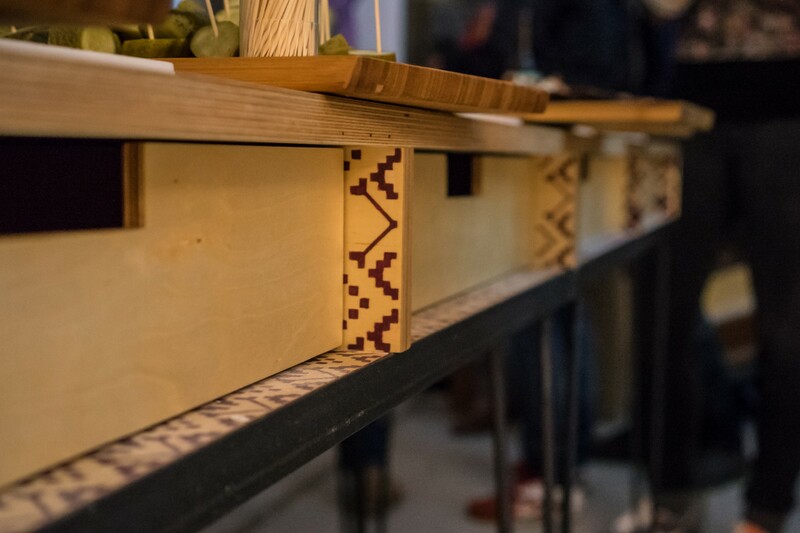 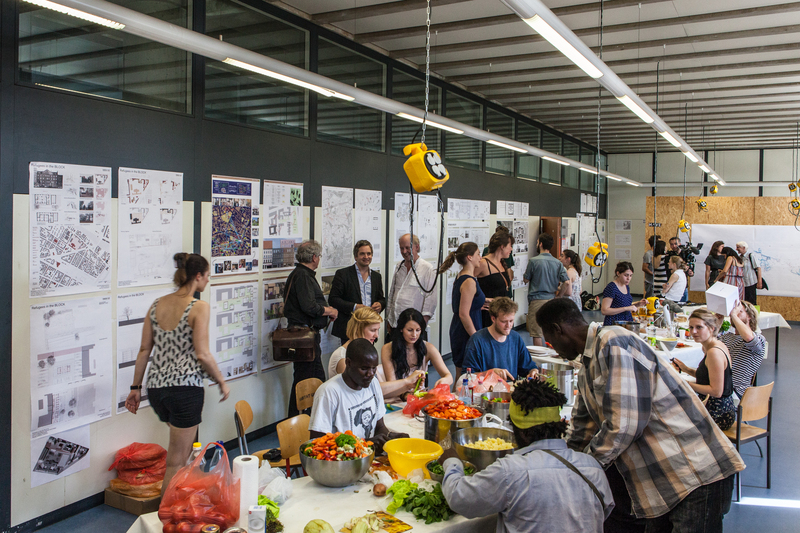 It was designed and built during a Summer School in 2015, building on the experiences and outcomes of the Design Studio Refugee City: Cooking with Refugees in Berlin at the Department of Architecture, Technische Universität Berlin. 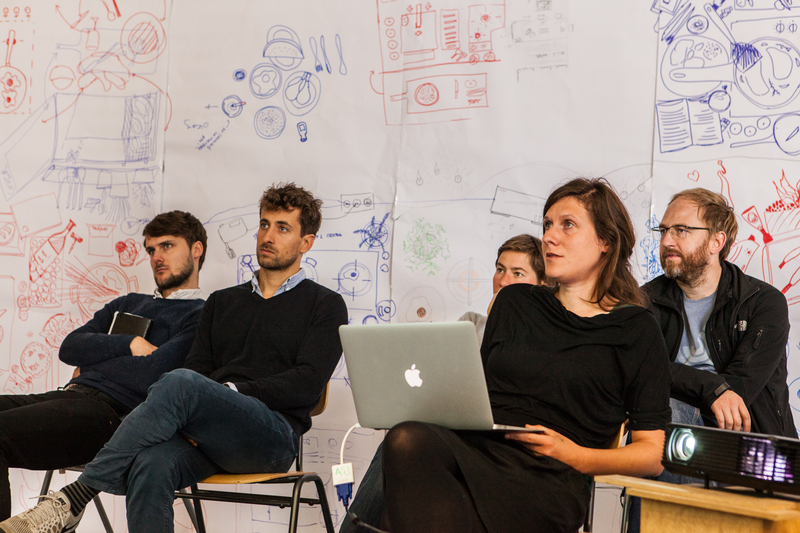 The summer school was funded by the STO-Stiftung.